LIVESTREAM: Stephen Wolfram, creator of Mathematica, speaks at the 2019 MICDE Symposium. Send questions via Twitter using the #MICDE hashtag; we will pose them to Dr. Wolfram, time permitting. 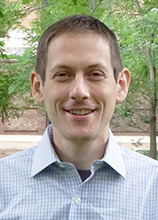 The Michigan Institute for Computational Discovery and Engineering (MICDE) focuses on the development and innovative use of mathematical algorithms and models on high performance computers (HPC) to support basic and applied research and development across a wide spectrum of disciplines in science and engineering. 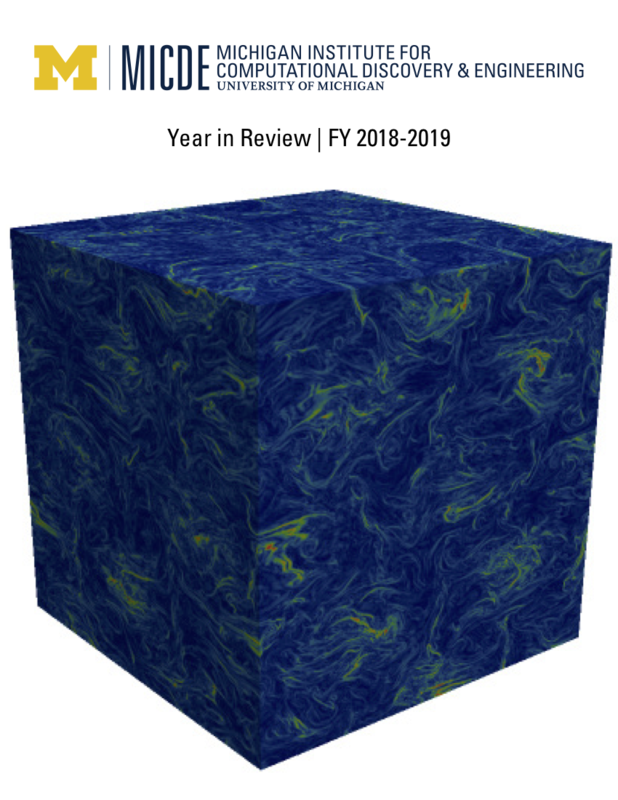 Read about the progress MICDE has made over the past year in supporting and promoting computational research across U-M. View on the web, or download PDF. 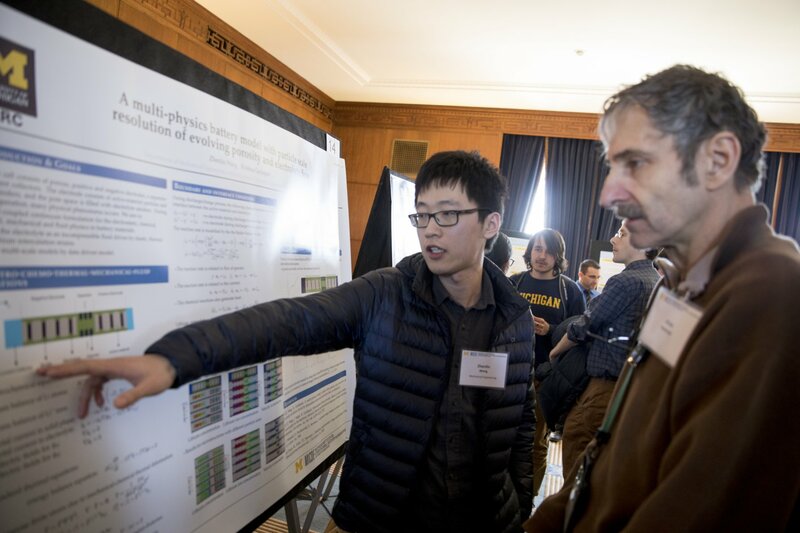 Yanming Wang, Chemistry; Sabrina Lynch, Biomedical Engineering; and Gregory Shallcross, Sarah Beetham, and Yuan Yao Mechanical Engineering, were the lead authors for posters that won the 2018 MICDE poster competition, held at the institute’s annual symposium in March. We are pleased to announce the 2018-2019 recipients of the MICDE Fellowships for students enrolled in the PhD in Scientific Computing or the Graduate Certificate in Computational Discovery and Engineering. The fellowships, which carry a $4,000 stipend, are meant to augment other sources of funding and are available to students in both programs. See our Fellowship page for more information. Twenty graduate students were awarded Fellowships.